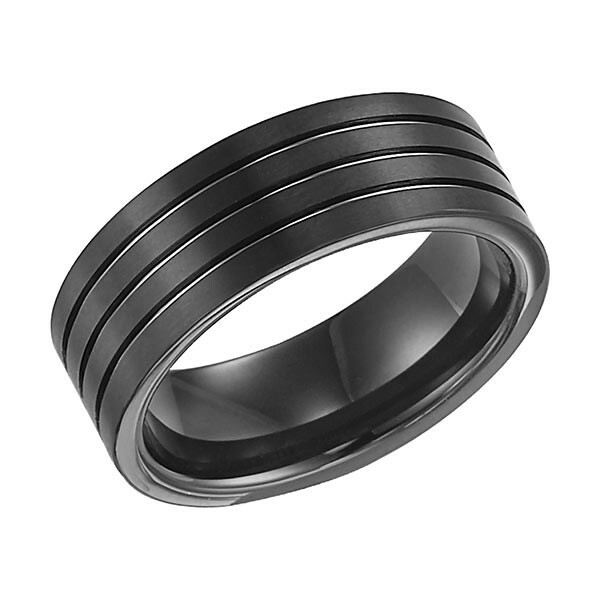 This men's wedding ring from Triton highlights the natural beauty of tungsten carbide. The 8mm band presents a lustrous gray tone enhanced with a trio of bright horizontal cuts on the brushed-finish comfort-fit piece. This Triton gent's ring is strong, stylish and makes a bold statement.